Our workplace safety library features dozens of compliance resources in the areas of OSHA, EPA and construction safety. Compliance with OSHA safety regulations not only helps avoid costly fines, it ensures that you are providing a safe working environment for your employees. The J. J. Keller® Compliance Library offers publications to help meet your workplace safety, construction activities and EH&S compliance needs. Learn what’s relevant to you and how to comply and mitigate risk. Support your company’s training program and build a safety and compliance culture. Mar 20, 2019 Training Focus — Everybody’s got light bulbs — but what do you do when you’re done with them? 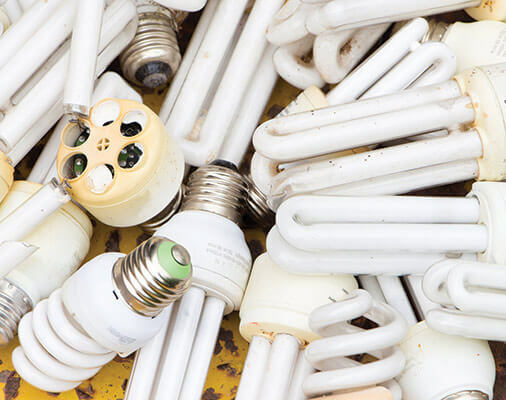 EPA’s universal waste program is intended to encourage best management practices leading to recycling of common hazardous waste streams such as batteries and certain light bulbs (that EPA refers to as lamps). Because the universal waste regulations, found in 40 CFR Part 273, are less stringent than the hazardous waste regulations, states that run their own solid and hazardous waste programs do not have to adopt them. Your state may have more rigorous requirements in place. Small quantity handlers never accumulate more than 5,000 kilograms of universal waste at any one time. When universal wastes are managed according to the regulations, they may be accumulated for up to one year and may not need a manifest for shipping. Also, universal wastes do not need to be counted when determining your hazardous waste generator category. Note that EPA has proposed to add aerosol cans to the universal waste list. If you do not manage the wastes listed above as universal wastes, then you must make a waste determination on them and possibly manage them as hazardous wastes. All universal wastes must be managed in a way that prevents releases to the environment. This means storing batteries so that they will not be damaged or start fires and storing lamps so that they are not broken, releasing mercury into the air. Universal wastes must be stored in a sturdy, leakproof container that is labeled with the contents. Each lamp or a container or package of lamps must be labeled or marked clearly with one of the following phrases: “Universal Waste-Lamp(s),” or “Waste Lamp(s),” or “Used Lamp(s).” The same goes for pesticides, mercury-containing equipment, and someday soon, aerosol cans. SQHUWs do not need to track universal waste that is sent offsite, but LQHUWs need to keep a record of each shipment of universal waste. The record does not have to be a hazardous waste manifest; it could also be a log, invoice, bill of lading, movement document, or other shipping document. The Environmental Compliance for the Workplace manual examines a wide range of federal and state regulations, making it an essential resource for anyone tasked with managing EPA compliance. Trial this invaluable resource for free or view our full library of compliance publications. "The training manual keeps me from having to look up all of the many OSHA codes that pertain to my business. Now I can pull out a check list and know that I am compliant." "This is a focused well thought out newsletter. The topics are timely and the information detailed. Very good safety managment tool." "The manual is a very concise and very easy to use, I would recommend it to anyone."